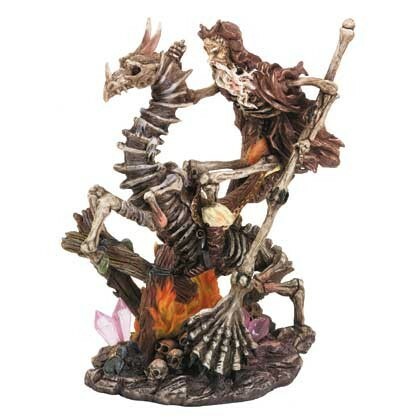 Dragon Skeleton and Jockey-Rare Find! Alabastrite. 7 1/4" x 4 3/4" x 9 1/4" high. Hand painted. These are now a rare collectors item. We only have a few left. These are no longer available through the distributor, they are a hot collectors item!